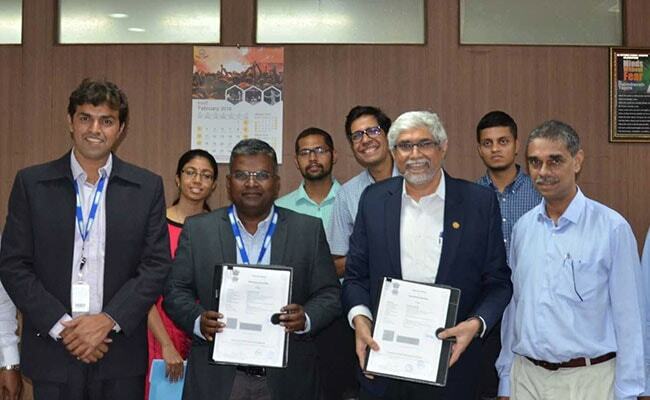 Indian Institute of Technology (IIT) Madras and GE (General Electric Company) have signed a collaborative agreement on February 8, 2019. Indian Institute of Technology (IIT) Madras and GE (General Electric Company) have signed a collaborative agreement on February 8, 2019 whereby GE will use translational technologies, developed by the institute, in its gas turbine component test facility. The agreement was signed by Prof. Ravindra Gettu, Dean (Industrial Consultancy and Sponsored Research), IIT Madras, and Akhilesh Mishra, Executive - Engineering, GE Power, on behalf of Mariasundaram Antony, General Manager - Global Engineering, GE Power. The agreement aligns with GE's efforts to bring digital technologies to realize the vision of smart gas turbines and it will pave the way for longer term collaboration, said a statement from IIT Madras. "We believe that this is an exciting opportunity for applying our research in real world situations," remarked Prof. R. I. Sujith, Chair Professor, Department of Aerospace Engineering, IIT Madras. Commenting on the collaboration with IIT Madras, Mr. Mishra of GE Power remarked, "The research of Prof. Sujith and his team has been very impressive. Precursor technologies in Thermo acoustics have the potential to leapfrog existing analytics in this area. Adapting these in lab environment will enable us to have significant benefits in terms of improving risk assessment and decision making, and considerable cost savings." Prof. Gettu said "Prof. Sujith's team is the leading group in thermo acoustics in the world, and has been part of much ongoing and past international collaboration. Prof Sujith's group has made highly original, ground breaking, paradigm shifting discoveries in the subject of thermo acoustics." In 2016, GE announced plans to set up an Industrial Internet Centre of Excellence at IIT Madras to develop power intensive applications with the first focus on rolling out a Digital Twin of an Aluminium Smelter.